If you have wet carpet in your basement or damp spots on the floor or baseboards, this could be a sign that you have a leaky basement issue. 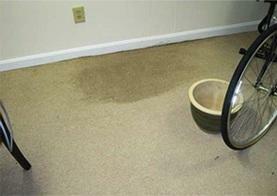 Wet basements create more problems than just wet carpet. Mold or mildew could be growing under the carpet, which fills the air you breathe with musty odors and hazardous mold spores. 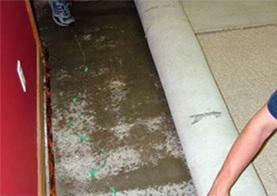 The basement waterproofing experts at TerraFirma can solve these problems in your home. Call us today or contact us online for a free estimate in Seattle, Portland, Tacoma and nearby. 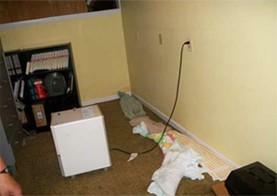 The first step in fixing your leaky basement is finding the source of the water intrusion. Save yourself the hassle. One of our basement waterproofing experts will inspect your basement for waterproofing problems and recommend the best solution for your home. Give us a call at 1-844-311-8051 to have a professional take a look. Why can't I just replace my basement carpet? 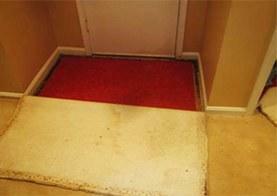 Without correcting the source of the problem, replacing the carpet will just be a waste of money. The same leak will still be there to ruin another carpet. The cause of your wet basement could be a broken sump pump, leaky basement cove, cracked basement floor, or from hydrostatic pressure. If we find that the cause of your wet basement carpet is a leaky basement, we may suggest one of these products as a part of the solution: Triple Safe Sump Pump, DryTrak, or WaterGuard waterproofing systems. These products aren't always the solution to your wet basement, so it's important to consult an expert to find the best solution for your basement. One of our certified basement waterproofing specialists will work with you to find the right solution to fix your leaky basement and wet basement carpet. Once our work is complete, you will have the regained peace of mind knowing that your basement will be dry all the time. Contact us today for a free quote on any of our basement waterproofing solutions in Seattle, Portland, Tacoma, Vancouver, Bellevue, Eugene, Renton, Hillsboro, Salem, Gresham and the nearby areas.